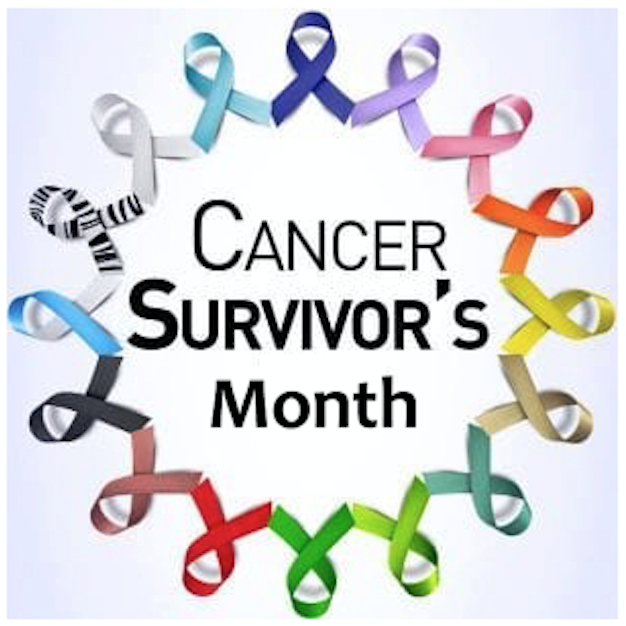 A heartfelt CONGRATULATIONS to all Cancer Survivors! We are fortunate that we have access to so many unique stories of personal triumph. From the Norman Cousins classic, Laughter is the Best Medicine to Joan Lunden’s courageous Had I Known, each of these inspirational stories gives hope and help to those who follow in their footsteps. While the “official” survival celebration took place on June 3, every day marks a personal anniversary and victory over this too common perilous life journey. It’s hard to imagine that there is anyone in America that has more than a couple of degrees of separation from itseffect on the one battling itor their friends and family. And so the walks, the 5 and 10 K runs and relays, the dinners, and the pledge drives continue because we have to do something. We fight the good fight for all of those who lost their battles as well as those who have not yet seen combat. The exact origin of cancer is not known, but there is evidence of cancer in the bones of a dinosaur found from 150 million years ago (American Cancer Society). Regrettably, it did not die out with them. According to a2014 article in Discover Magazine, an ancient Egyptian medical text, called the Edwin Smyth Papyrus that dates back to 1600 B.C., is widely believed to contain the earliest known reference to a cancerous tumor and a description of what is now accepted to be breast cancer. There’s evidence of cancer in roughly 200 individuals in the human fossil record. In 2013 British researchers recently uncovered the oldest example of human cancer in a 3,200-year-old male skeleton found at an archeological site in northern Sudan. This is widely known as theoldest complete skeleton of a human displaying metastatic cancer. Literally, billions of dollars are spent each year on cancer-fighting drugs with horrific side effects. The cost of new drugs approved to treat cancer is itself life-threatening for many Americans. Not to mention the myriad of drugs prescribed to combat the side effects. Is it any wonder thatthe word “cancer” can send shockwaves of palpable fear through a room? Current environmental concerns and considerations aside, cancer has been part of our evolutionary journey throughout the Ages. It had its place in the primordial ooze and has now become a deciding factor in the human gene pool; it is part of our human DNA. It is DNA research that holds the best hope for, if not finding a cure, at least abating the progression of the seemingly endless ‘kinds’ of cancer that have been identified and diagnosed. There is research pointing to the role of infectious diseases as precursors to cancer. What is lost many times in the treatment of this 21st Century plague is the human element. While clinicians need to avoid the stress of having to deliver a dreaded diagnosis, patients need to know that they will have access to all available resources of support, the least of which is their own attitude toward beingsick in the first place. Celebrating cancer survivors forges hope; for without hope, all is for naught.